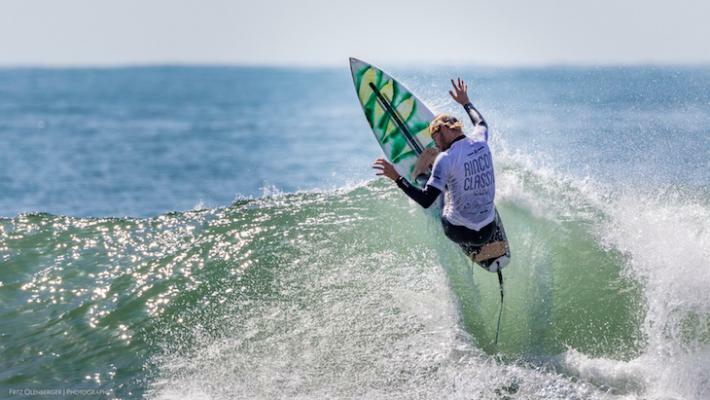 The Rincon Classic surfing competition returned for the 36th year this past weekend. Over 220 surfers took part in the locals-only competition near Carpinteria for the two-day event. Founded in 1979 by a group of local surfers including Roger Nance and Jeff White, the Rincon Classic ran for 17 consecutive years before falling dormant in 1996. In 2001 the event was resurrected by Chris Keet and the Surf Happens crew to continue the legacy. Under the tutelage of this generation, the event has grown exponentially and now involves the community in grass-roots fundraising efforts. It is the oldest local surfing contest in Santa Barbara County, which is rich in surfing history. The competition has showcased generations of the areas best surfers including Tom Curren, Bobby Martinez, the late Chris Brown, Kim Mearig, Davey Smith, Lakey Peterson, Conner and Parker Coffin, Demi Boelsterli and Kilian Garland. Absolutely amazing what this generation of surfers can do. My guess is the shorter, lighter boards make this possible--actually mind blowing! In the 60s with those huge boards it was a big deal to "hang ten".